I recently made the acquaintance of a neighbor, an elderly housebound woman who had been a professor in the art department of a local university. We meet over a lost dog, got to talking, she invited me inside her home. Apparently, she taught photography – traditional film photography – and is herself a photographer of some note. 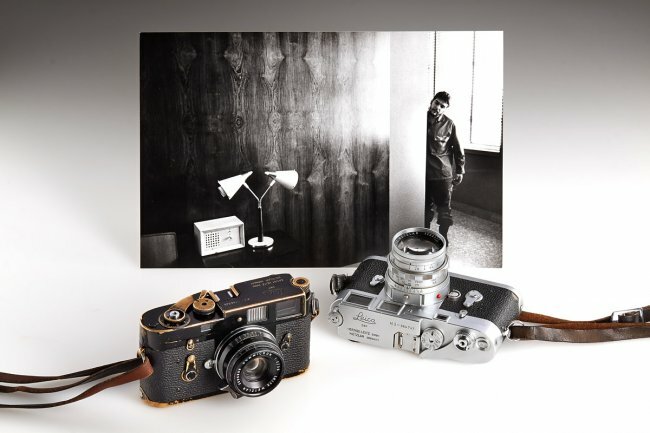 I was struck by the sheer physicality of her photography – walls full of framed prints, rooms full of boxed and cataloged prints, loose prints of various sizes and configurations on tables and desks. This, I thought, is “photography,” and she is a “photographer.” And then it dawned on me that most people who currently consider themselves a “photographer” probably wouldn’t have anything in common with her and really couldn’t have an informed discussion with her about the craft of “photography” because, in effect, they would be talking about two different things. Two completely different disciplines. Traditionally, “photography” culminated in a tangible print that I’d send to a friend, put in a scrapbook, hang on the wall. That was its purpose, the end result of the process of “photography.” The good ones, the ones with some aesthetic sense, got printed, matted, framed, shown in galleries or coffee houses. The not-so-good got pasted in albums, filed in drawers, or tossed. Today’s “photograph” is an abstraction – actually a bundle of layered abstractions. What matters is inserting that abstraction into the virtual networks that propagate it outward. Creative decisions? Really not necessary. Leave that to the relevant app. Just as easy to have it randomly choose the “filter” to produce what would previously have been the result of the vision of the individual creator. It’s all good, as the kids say while they upload their duck-faced selfies and food snaps to the ether. In any event, what creative decisions there remain are secondary to the systems of dissemination – Instagram, Facebook, whatever. Likewise, the camera you use is significant only to the extent that it allows streamlined access to the dissemination networks. Camera’s without wifi linkage? Like a car with a carburetor – obsolete. Justin E. H. Smith, professor of the history and philosophy of science at the Université Paris Diderot—Paris VII wrote recently about a photojournalist who back in the day tracked down Pol Pot, the psychotic Cambodian mega mass-murderer, spoke with him, took pictures of him with his film camera, then shopped the photos around in the traditional analogue way. This journalist contrasted his experience with that of his teenage niece, apparently a Social Network “Star” of some note, who, with her selfies and lunch photos, racks up more views on Instagram in a day than his own laborously procured pictures of Pol Pot have ever gotten, anywhere. She even receives corporate sponsorship, not because anyone deems her photos good or significant, insightful or formally compelling, but because their “metrics” signal potential for monetization. Him, well, you know. Photos – physical things – the creation of Dragan Novakovic. These exist as individual, tangible artistic creations. I’m framing them and hanging them on my walls. A few of us – those still conversant with the traditional analogue paradigm – are attempting to save a space for that paradigm. I’m increasingly convinced that the battle going forward is between the the tangible and the intangible. Advocating film photography as opposed to digital is ultimately about that. Traditional analogue processes, the kind that constituted photography as a craft, aimed at a physical thing – the print – as the final result. There’s a beauty to a finely crafted photographic print, a print that’s been matted, framed, hung on a wall, one among like others. The best – viewed as physical manifestations of the photographer’s vision – can send shivers down your spine. With the advent of digital processes, the aim of the endeavor is the flow of information in visual form. Creative considerations exist only to the extent they aid in allowing the propagation of the information. Yes, you can print digital capture – but who does? Other than holdovers from the analogue era who still operate under the assumptions of the old paradigm, nobody. The upcoming generation – the “photographers” of the future – not a chance. My international student – Nicki – watching me unbox my new printer, asked why I needed it. Because I want to print my photos, I replied. 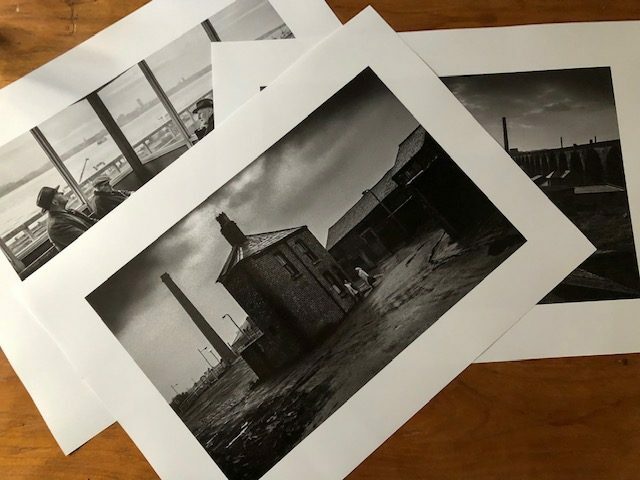 I like to have a physical thing, a photo, as the end product of my work, if for no other reason than once it’s printed out I’m certain to have at least one permanent copy. Plus, I can matt it, frame it, hang it on the wall. She looked at me quizzically, as if I’d suggested she remove her earbuds and go listen to some Tommy Dorsey on the Victrola. Why, she replied, would you do that when you can keep them in “the cloud” ? This entry was posted in Uncategorized and tagged Dragan Novakovic on January 7, 2019 by Leicaphila. I can identify with her: I’ve got neatly filed negatives in 3-ring binders. Photos on the wall, a fully functional and ‘in use’ darkroom (just finished up a session about 30 min. ago). I make photos with usable, durable old Leicas. I photograph what I want and what I find interesting. I don’t give a sweet flying f*ck what people think of my work, my methodology or that I use film or Leicas. Let others try and define photography/digital imaging/iPhone shots, etc. I’ve decided to disengage from all that meaningless drivel. I make photos, on photo paper from film negs. I also can’t understand for the life of me why anyone would put ketchup on their eggs in the morning. Jeez. Man, I wish I had said that. That’s perfect. The two are different concepts, film and digital photography, and I guess that I currently belong to the virtual image fold, not that I don’t love good prints, but that the point of making them has, for me, disappeared, as has the digital printer. My HP B9180, which was capable of producing very good black/whites but not great colour, is kaput, has joined the ranks of other, heavy, anti-earthquake devices. Had that printer survived HP’s decisions, I may still have given up printing. The reason is internal: I have realised that having several boxes of incidental, nice A3+ prints has no value at all, and is every bit as much of a money sink as sailing. I have my website. I long abandoned editing it to show only the personal best – whatever the hell that is – but it lives to offer me the most convenient stop for looking at my own work. Unlike those boxes I no longer open, the website comes into play, one way or the other, every day. My photography is not used to send snaps of yesterday’s – or today’s – lunch; I don’t really use the Internet that way and have no presence on the facebook, twitter-type of outlet. Time is too short for that, and more than too much already goes into photo-chat online. Maybe my apartment has too few walls, but the material I’d hang ain’t what’s possible for me to shoot today as an amateur. Your young student may perhaps subconsciously have a perspective that I guess many young people are bound to share: print costs a lot of money – is it worth that sort of expenditure to a youngster? It sure ain’t to me as an oldie, and probably for similar fiscal reasons that dictate more essential things take priority. As Leiter was fond of saying: paying the light bills. All that said and done, my good digital prints never gave me the pleasure that did good double-weights on Kodak’s best WSG well-glazed. But like your student says, why the need? I reckon that the need is because there is a different mind set involved, the latter is photographing their dinner for social media, whilst the former is creating a work of art. I have been reading work by some folks that created an internet site called f295. The organisation now seems to be defunct, but several books have been generated by its members. These are photographers, some don’t even use a camera, some use digital cameras, some are pinhole types, some like view cameras. But the name of the game is printing, the ones that use digital cameras, generate a digital negative and then make carbon, albumen or platinum prints. Some do wet-plate techniques, the pinhole people usually use 8×10 some positive, some use a negative. The snap is made in an instant, even if it has been planned and set up, but the print can take days to produce. Great article. These days photography is all about the camera not about the photo. Another great post! The state of photography is far worse than you mention of copies without originals requiring the web in order to exist. At least with that version, the indexicality of a photograph still exists where the photo points to a photographer, and a photo points to an object being represented. With AI, personas software in particular, it’s possible to generate 1000s of fake profiles with fake photos by one computer every day. In this scenario, neither subject nor object exist. It is photography in the era of post-indexicality. In a sense, this already exists with those automated systems that photograph your license plate to determine if you should pay a bridge toll or not. I loved your description of the woman’s collection of photographs. It feels all so real. The irony is that during film’s heyday there was already some skepticism of images. It’s really apples to oranges. Photography has had many faces almost since inception. Even in the earliest days, photographs were being made not as art, not to hang, but to serve as a model for the engraver or as a study for the painter. While these all had physical forms of one sort of another, that was only due to a lack of other convenient ways to render the picture. The uses of the pictures were just as permanent or ephemeral, serious or playful, as they are today. There is still plenty of printing going on, some sources suggest more than ever, but as a percentage of photos shot it’s dropped. What I perceive in the vernacular world is that it’s less and less about the result, and more about the act. In reality, nobody every sees 99% of the pictures that get taken and shared. The point is to take the picture, not to look at it. Sontag had a handle on this in the 1970s — by photographing a thing, we endow it with an imprimatur of importance. Things become, in a sense, worthy of being photographed by our act of photographing them. I used to take notes in graduate school, but almost never referred to them later. The taking of the notes was the act that fixed the material in my head, not the reading of them later. There is some analogy here, perhaps. I couldn’t help but agree with what you wrote. This multifaceted nature of photography is what allowed Robert Frank’s work to shine. The professional milieu of photography was too commercial, too compromised, and too “by the rules.” Frank’s breaking of the rules, and presentation of photography as poetry without compromise rang like such a clear bell to those who got it. Moreover, you are spot on about Sontag. I’d just add that for the 99% of the Internet’d world taking photos, a photograph is just a syntactic unit in a stream of social media that makes up their daily lives. Yes, the note taking analogy fits, except there’s a dialogue with sharing images online, too. * If you are, indeed, making a direct quotation here and not just putting forth your own conclusions without actually quoting her text; I’m not certain. Anyone can make any sort of silly statement and lace it with conditionals; the secondary part of the game is for the reader to feel doubts about himself if he can’t agree: he must, of course, be mistaken. If you have made a direct quotation, the doubt it sows would have the reader wonder how could Annie L’s late girlfriend not be correct? After all, everybody know’s Annie’s the best photographer there ever was, right? If anything, subject choice is revelatory of the photographer, not the subject. I am not directly quoting Sontag,but there’s no doubt in my mind that she was playing games 😉 She was a game-playing kind of gal. Still, she got a surprising amount of stuff right. One of the more amusing patterns I see in modern “photography criticism” is to start out mentioning how lame and out of date Sontag is, followed immediately by a large serving of re-warmed Sontag (but the would-be critic, having not actually read Sontag, doesn’t know this). I am in accord with Andrew above (plus Susan Sontag, Garry Winogrand and Vivian Maier) that the very act of framing and making an exposure of a scene or person is an individual ceremony of significance that stands separately from any resulting pictorial image. Just like the active taking of notes in class, it’s a memory maker… a mnemonic device. As for physical prints of either film or digital images, I fear that we old folks of the analog age are increasingly out of step with the internet generations. For better or worse, it is they who will shape the future, not us. We can take some comfort in the likelihood that there will be always be a tiny population of steampunk anachronistas who will uphold the old photographic ideals, just as there are still a few dressage equestrians and black powder musket shooters among us. Our ancient Leicas will not go unloved and unclicked until the last artisan manufacturer of hand-coated monochrome film finally closes up shop. I have tens of thousands of negatives and slides. An insignificant fraction of them are printed. I also have all of my dad’s negatives and slides, same quantities. They are not art, but they are mine. For the last 3 years or so, I have shot both film and digital. In a typical month, I shoot 50 to 100 frames combined. On a typical shoot, taking pictures of my grand kids, for instance, I will shoot at most 1 roll of film or maybe 40-50 digital images, if that. In that same amount of time, my daughter-in-law, with her iPhone, will shoot 800-1200 pictures or even more. Plus video. It is my job to manage her storage as she fills up her phone quickly. She puts a handful up on Instagram or the like. I gave up printing for anyone but myself. I am certain none of my prints will survive me. All of my kids, grand kids, and friends are in the social and cloud universe. What I have done lately, though, is print books, 7″sq, with 20-30 images in them, from the online printers. My family likes them, they keep them, and I see them in their living rooms when I visit. And they cost very little – $15 more or less. My project is to dig through the archives and publish one or two of these for each year. This is not hard for me to do. Again, they are not art, but now have an audience. Maybe these will survive me. There is an interesting remark in Andrew Molitor’s first comment re. taking notes. He wrote that he took notes while attending lectures at the university, and that the act of taking notes made him learn what he wrote. He assumes that the same applies to taking a picture. Now, my own experience re. taking notes is the same – but only for handwriting! It doesn’t work as well if I use a computer. Probably the neuromuscular coordination can explain it, I don’t know. But here is the point: Could it be possible that snapping with a phone is a very different activity than photographing with a “real camera”, from a psychophysics point of view? Compared with the mental and motoric ease with which one can take a picture with a phone, operating a mechanical camera is considerably more involved. Speaking for myself, I find that using the phone camera is fun – but the resulting pictures always leave me cold. Even though the technical quality is Ok, they always seem to be lacking something. Taking a picture is definitely quite different from taking notes, and my remark on that should be taken as — at best — a loose analogy! If there is something important about taking a picture that is separate from looking at it later, I imagine that it’s something to do with the mental focus of the act, the selection of *this* rectangle rather than *that* one, the selection of *this* in the center, and not *that*, the selection of the moment. There some heightened intensity, and a change in the character of, in the act of seeing at that moment, I find. I imagine that it’s true for everyone, even the most casual snapper. Possibly it is that intensity which matters? That focuses seeing, and then the picture itself doesn’t even matter? Andrew, this continues to assume that “selection of this rectangle” involves some kind of an intentional mental decision. I believe that it could, if you do choose to procrastinate during your picture-making, but I contend that for anyone who knows what he’s doing, the entire process of selecting, framing and clicking is done on autopilot. You just know. You don’t reason, you just do. As for the picture itself, later, not mattering, then why bother buying a camera? Just go look. I believe the game is broader now: you can take the shot, process it in your computer and see it how you want it to be; there is simply no reason for hitting paper anymore unless you intend selling prints; the image remains as ever it was, only the destination options have changed. It’s said that Winogrand left several thousand unprocessed films; perhaps he had actually reached that point of photographic ennui where he knew perfectly well what he’d caught, and despite his claim of photographing things just to see how they looked photographed, it had really stopped being his truth, and had turned into his problem, which I know for a fact can afflict professional shooters who just can’t stop shooting even when their market has vanished. Maybe Winogrand was exactly at the point you are musing might be possible: the print no longer mattered to him. Of course, that’s what Tim was writing about concerning the youth of today and their take on images. They are perhaps just saving themselves a whole lot of heartache, and the electronic image allows them that new freedom to shoot without future pain. Winogrand, with film, didn’t have that opportunity, and the option of seeing “how it looked photographed” was always going to entail hard work and expenditure, either or both of which he may no longer have been able or willing to accept. I have no idea if he made any commercial money out of his street stuff, or only from speaking gigs and galleries. A huge problem arises when photography and art become subject of written scrutiny. The problem is that, in truth, there is not that much to be written about it that’s new. We tend to regurgitate either our own thoughts or those of others, and often they become inseperable within our minds. Photography is not an onion, and maybe we should avoid trying to think of it in such terms. Looking over Winogrand’s contact sheets from those unprocessed films, it struck me that (my opinion, of course) that he didn’t know and didn’t care what he had captured. The exposures look like some guy driving randomly around LA pointing the camera at anything and everything that was even slightly eye-catching, and simply mashing the shutter over and over. I have no notion of his actual mental state, but I imagine a guy who’s just going through the motions because he can’t think of anything else to do. This was simply his life, going out and mashing the button, without in the end the slightest concern about what was being recorded. He was dying, and he knew it, at the end, which probably preoccupied him. I am not convinced that he’s a useful model for understanding the actions of more ordinary people. It certainly does strike me as curious, though, that somehow the act of committing the seen-frame to some medium actually matters in some way. Just going out and looking isn’t the same, somehow, as going out and photographing, even if the photographs are later to be deleted or burned, unexamined. One generally has to pay more attention to something to take a photograph, even a very casual quick photograph, of it than to just “simply” look at it. That tends to make it more memorable. Plus, you can review it later. I think taking a photograph is analogous to taking notes. Similar experiences. One of the things I love about film photography is the process is all made and controlled by me. It is my art from the choice of film, subject, composition, exposure and processing, to the print in the darkroom: size and borders, cropping, contrast, dodging and burning. I can put it on the wall alongside other photos and enjoy them together or individually, catch them as I pass by, have someone notice them without directing them to a website or dragging them to look at a screen. All very valid thoughts and purposes. Back in the 80s, Iwas having dinner in a restaurant here in Spain, and noticed some black/whites up on a wall. I got up, walked over to have a look, and was thunderstruck: they werev fashion pix, and so I asked mine host whose work that was. She told me it was her son’s work, and he was assisting with Albert Watson in the States. Said it all; from lighting to models. The power of attraction of good, well-framed prints is very strong. Quite ruined my dinner, though.